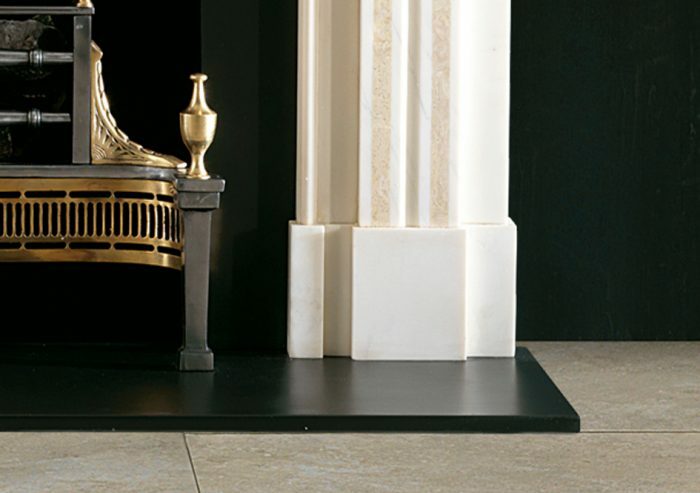 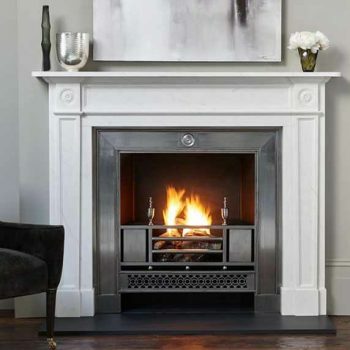 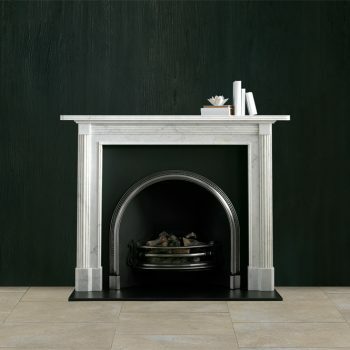 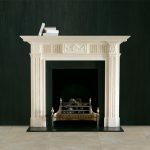 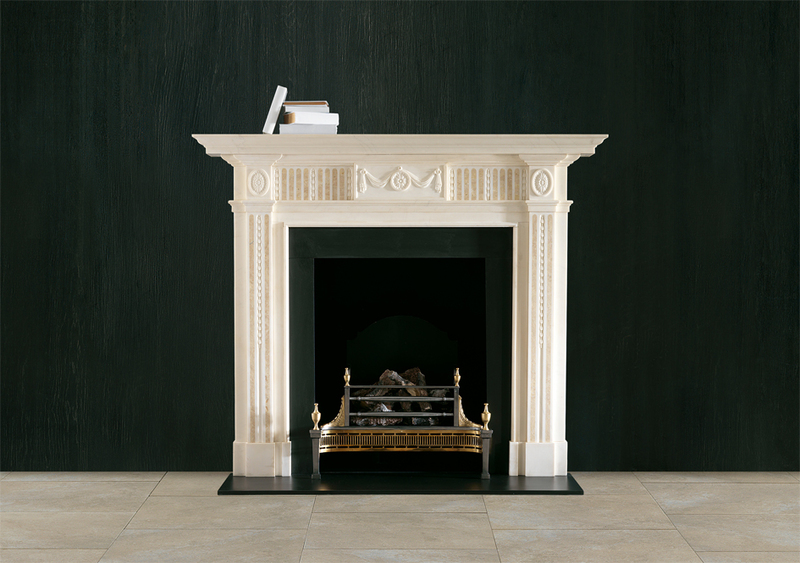 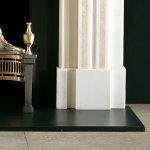 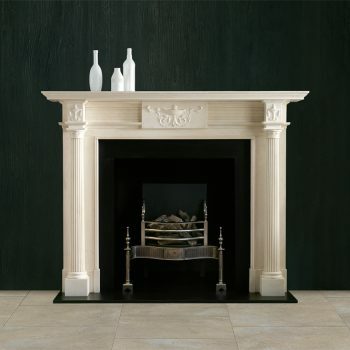 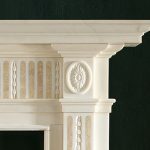 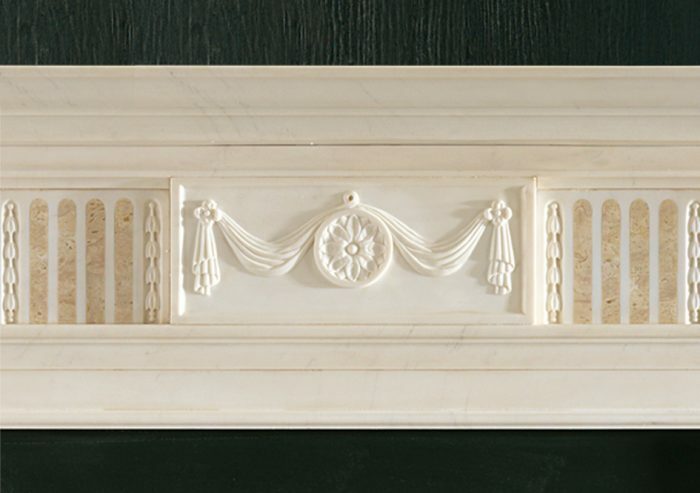 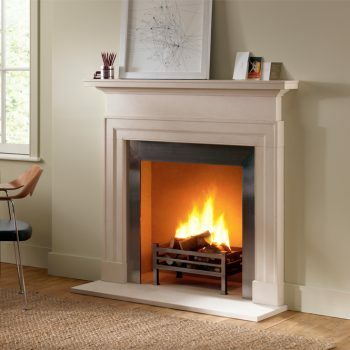 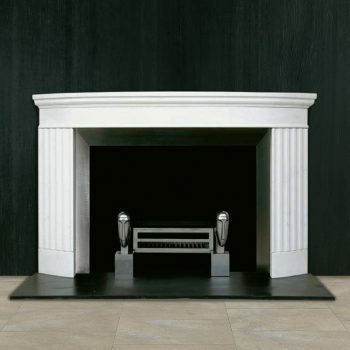 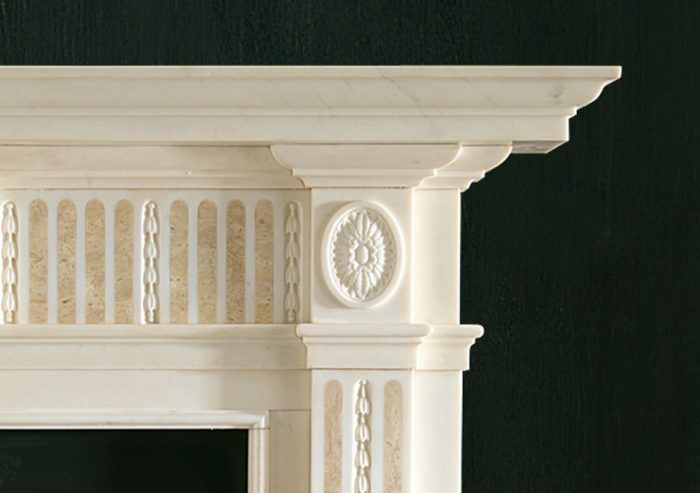 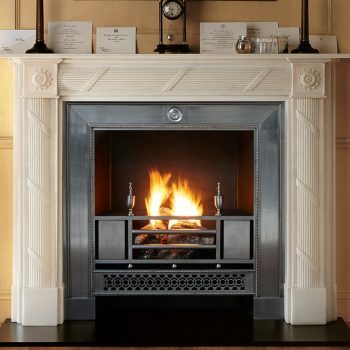 A neo-classical chimneypiece in statuary marble with carved centre tablet and corner blockings. 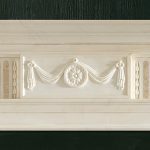 The jambs and frieze panels are inlaid with Etruscan gold marble. 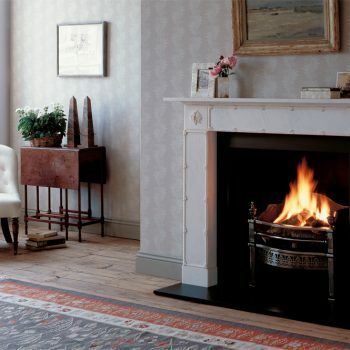 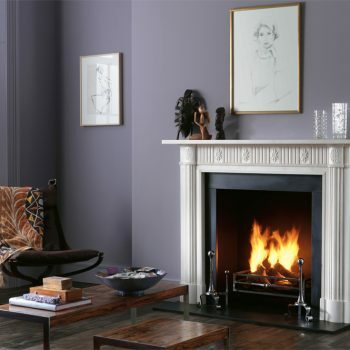 It is shown with Dorchester fire basket in brass, black slate hearth and slips.